International migration has become a central topic in the public political debate in Europe and elsewhere. It is a critical policy domain for governments at all levels, as well as for both sending and receiving societies and it is an increasingly relevant phenomenon for the understanding of global dynamics and interactions. International cooperation in the field of migration and asylum is also attracting increasing amounts of resources and actors worldwide. As a consequence, more and more professionals and researchers are likely to engage in international migration issues as part of their work. 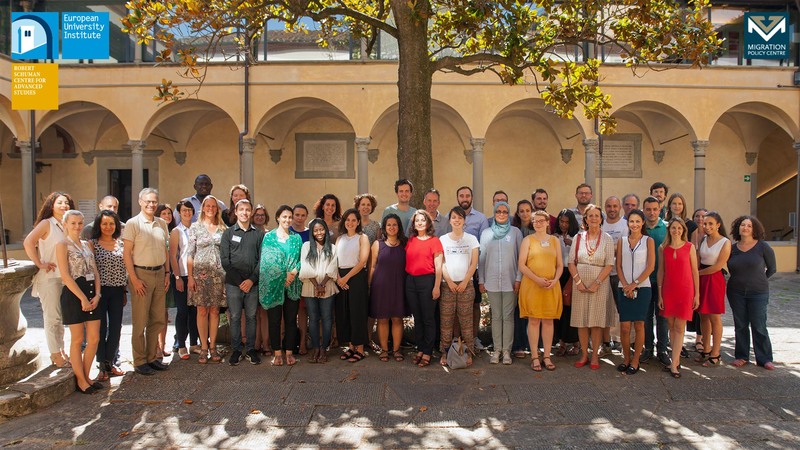 Interdisciplinary in nature, this XIII Migration Summer School is conceived to provide an overview of the main issues relating to the determinants, characteristics and implications of international migration. The two-week Summer School will analyse: the impact of international migration in countries of origin; migration policies implemented in countries of destination and the challenges of integration, particularly in the EU; the current global refugee crisis and policy answers; human smuggling; international governance mechanisms; migration in the rural world. The programme also includes a series of workshops with concrete examples of migration-related questions from the point of view of qualitative analysis, quantitative analysis or evaluation, as well as a review of the main theoretical frameworks for studying migration. Teaching staff includes members of the MPC as well as renowned academics and professionals. Lectures will be complemented by interactive debates, and time for independent study and research work is integrated into the programme. Participants will be encouraged to translate perceived societal problems into social scientific research questions. The combined insights from sociological, demographic, legal and economic approaches to the study of migration will enable participants to return home with a deeper understanding of one of the most complex and multifaceted phenomena affecting governments and society across the globe. The Summer School is also a unique opportunity to network with other participants (a selected group of researchers and practitioners from throughout the world), have access to some outstanding scholars in the field and take advantage of the research facilities of the European University Institute (in particular the Library). 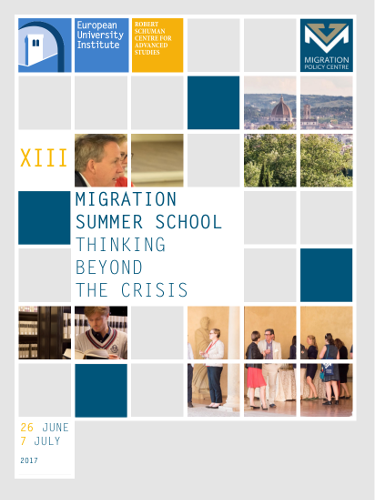 We look forward to welcoming to the XIII Migration Summer School an enriching mix of postgraduate students, civil servants, international organizations practitioners, NGO workers, journalists, policy analysts and teachers from around the world. What are the drivers of public attitudes to migration? *This session in organised in collaboration with the International Organization for Migration (IOM). The XIII Migration Summer School will take place between Monday 26th June and Friday 7th July 2017 at the European University Institute in Florence (Italy). Participants are expected to arrive in Florence on Sunday 25th June and leave on Saturday 8th July. The availability to attend the entire teaching aspect of the programme. Applications should be made by submitting a completed application form by Friday 31st March 2017. We regret that applications submitted after this date will not be considered. Fee for 2017: €2200. The fees include: 13 nights’ hotel accommodation, all tuition, all course materials, access to the EUI library, wifi access at the EUI, social activities, lunches and coffee breaks on lecture days. A limited number of scholarships fully covering the above fees and expenses are available for outstanding candidates by application only (see Summer School application form). However, please note that unsuccessful applicants for these places will not be considered for a fee-paying place at the school. Scholarships are not intended for participants who can be funded by their own institutions. All participants are kindly requested to organize and cover expenses for their travel to and from Florence, as well as their local transportation in Florence.